which left me with “damn it al!” which still works, because the guy at the shop where I make my wine is named Al. Anyone who would like to participate, feel free to use the “One-Liner Wednesday” title in your post, and if you do, you can ping back here to help your blog get more exposure. To execute a ping back, just copy the URL in the address bar on this post, and paste it somewhere in the body of your post. Your link will show up in the comments below. Please ensure that the One-Liner Wednesday you’re pinging back to is this week’s! Otherwise, no one will likely see it but me. 4. Add our new, very cool badge to your post for extra exposure! Categories: Blogging, Blogs, Life, One-Liner Wednesday, Prompt | Tags: #1linerWeds, Humor, humour, inspiration, wine, WordPress, writing, writing prompt | Permalink. Pingback: Everything is Broken – One-Liner Wednesday | Just something I was thinking about . . . Hear that whistle? That’s your comment going over my head. I’m sorry to say that it only took about fifteen seconds. Wow. In that case, have you ever considered joining a circus? Going on Britain’s Got Talent as a contestant, perhaps? 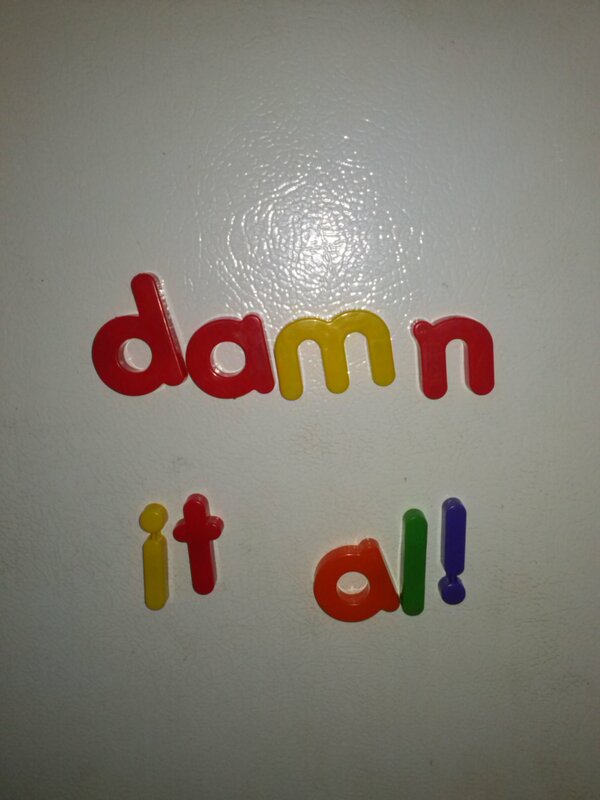 Surely you do exactly the same thing in your head, every time you make something out of the jumble of letters on the fridge? No. I don’t. I envision something and I stick with it – jumbling letters that are already in the right spot hurts my head. And palindromes, they’re great too. Palindromes hurt my head too. I can’t even watch a car race. Pingback: Are You Good? 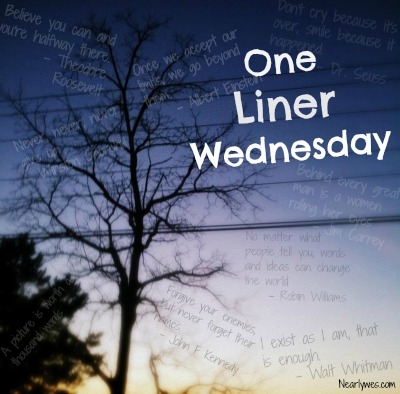 – One-Liner Wednesday | Me – Who am I? I know. He gets all the blame. This is really cool. I’ll see if I can join in. Hope to see your pingback! It really is in his best interests. Hehehe! Pingback: Diary of an Internet Nobody.